To begin, I think it’s important to realise that colour as we know it does not exist in the objective world. Wavelengths do. Lights of different wavelengths form an additive colour mixture, and the composite of all the wavelengths form white light. Paint on the other hand, have a subtractive nature and absorb all wavelengths except the one you perceive it as. The subtractive mixture of all paint, as any toddler could probably tell you, is black. Figure 1: Visible light spectrum in terms of wavelength. As children we learn the “VIBGYOR” (or ROYGBIV) method to memorize the colours of the rainbow. This represents the spectral colours. You can also turn the spectrum into a colour wheel, as it was first described by Newton in 1708. 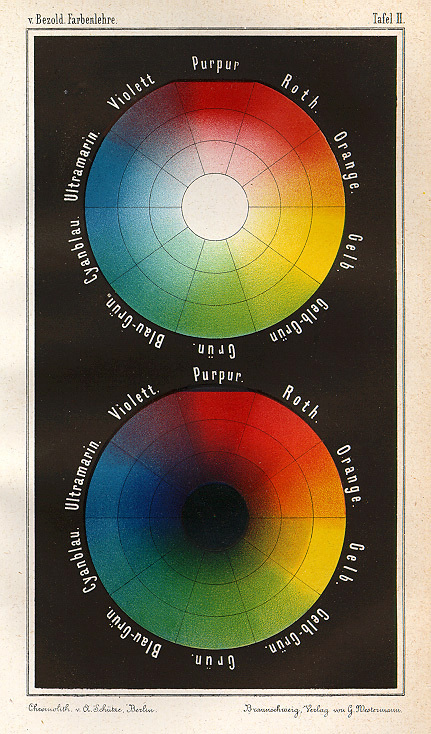 Figure 2: Farbentafel (Color wheel). 1874. by Wilhelm von Bezold. Modern colour psychologists also add purple and reddish-purple in between red and violet, although these are not on the visible spectrum. Now we know that the wavelength of light determines what colour it appears to be. Other characteristics of colour is it’s saturation, which can be thought of as a spectrum of grey to the colour; and the intensity or brightness, which can be thought of as a spectrum from black to white, with the colours in between. 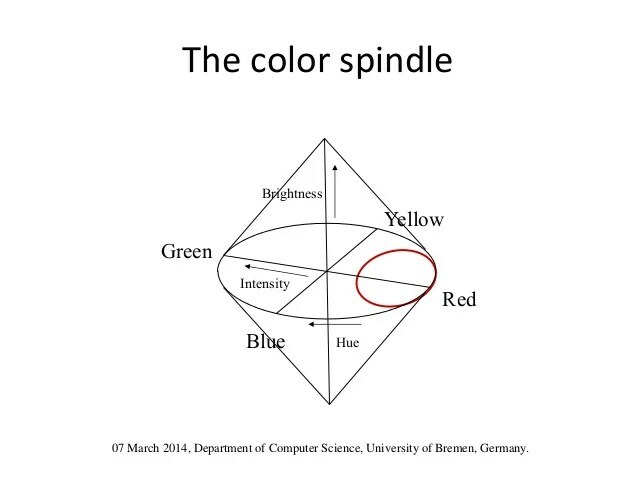 Given these other dimensions, the best way to represent all possible visible colours is the colour spindle as shown below. Figure 3: Colour spindle. The circle represents the hues previously shown in the colour circle with brightness on the y-axis and intensity shown radially from the centre of the circle to the outside. Let’s for a moment, go back to just the primary colours, i.e., the wavelengths which mixed together in different proportions can produce any other colour on the wheel. Red, blue and green define the colour triangle. The problem with this version is that some colours are not additive of two other colours on the triangle. Yellow, for example is a negative primary, i.e., you have to subtract one primary from another (green from blue). To overcome this problem, the Commission Internationale de l’Eclairage (1931) was charged with creating an imaginary colour triangle that was defined by proportions of red and green, and added a dimension for brightness. Figure 5: Imaginary colour triangle (Commission Internationale de l’Eclairage, 1931). How do we see colours if they don’t exist in the objective world? That my friend, is an excellent question, and presumably why you came upon this post in the first place. Colour opponent theory suggests that a particular neuron is activated by the presence of one colour in the centre and/or the present of another in the surround area of the cell. So for example a red-green colour-opponent neuron would be activated by medium wavelengths in the centre and deactivated by longer wavelengths in the surround cell area. Colour-opponent cells are found in blobs in layer 2 and 3 of V1. Cells in V1 layer 4 and V4 have double colour-opponent cells, i.e., it is activated by the presence of a particular wavelength in the centre and the absence of it in the surround, but also activated by the presence of it in the surround and absence of it in the centre. A classic example of this is the red-green double colour opponent cells, also known as “berry on a green leaf detector”. Here’s some diagram examples to help visualise this concept. (-) indicates an inhibitory effect and (+) indicates and excitatory effect. Once upon a time, long, long before my advent into psychology and neuroscience, I had a friend who is colour-blind and like a true scientist in the making, I spent hours asking him about what colour different objects appeared to his vision. Before that point, I thought that people with colour-blindness literally could not see any colour and instead saw the world as a black and white movie from the 20’s (but with better resolution). Turns out this form of colour-blindness is extremely rare. For someone to completely lack all colour vision, they would have to lack cones. I suppose before I go into this, I should go over rods and cones a bit. Rods contain rhodopsin, which is “bleached” in the presence of light. As a result, they only really work in dim light condition and is necessary for night vision. Rods mostly reflect 500-550 nm wavelengths. There are three types of cones, each of which help us see a different primary colour. They are aptly called red-cone, green-cone and blue-cones. 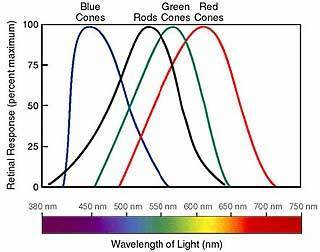 Figure 7: Rods and three types of cones help us see different wavelengths of light. Going back to my juvenile misconceptions about colour-blindness, a complete lack of colour vision is extremely rare (1 per 100,000 people) and would require a complete absence of all types of cones. They are called rod monochromats and since rods don’t function well in bright light, by and large, they are legally blind. Blue-cone monochromats are less rare. People with only two types of cones are called dichromats. Red/green colour-blindness is the most common of all, in part because there are two types of dichromacy that causes this. Protanopia is caused by long wavelength cone deficiency, and deuteranopia is caused by medium cone deficiency. In both cases, people see in hues of blue and yellow. 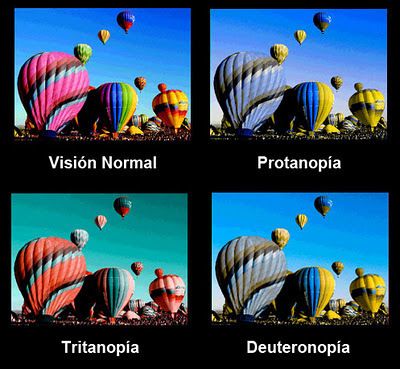 A third, very rare type called tritanopia is caused by a short wavelength cone deficiency, causing blue/yellow impairment and seeing mostly turquoise and red (lacking the solid blue/violet end of the spectrum). Figure 8: Trichromacy vs. the three types of dichromacy. The last type we will briefly mention are anomalous trichromats who have all three cones but one type is abnormal and discriminate hues poorly. I don’t have any simulation examples for this, since the results would be variable depending on which type of cone malfunctions and how. I hope this has been very informative, and that you will use this as a handy resource. And the next time someone says they are colour-blind, you will refrain from quizzing them endlessly about what colour objects are. Or go ahead and do it; that’s how I started after all! Of course, hypothetically, we all see slightly different colours as red, or green or purple…no one has exactly the same number of cones and all of them do not function exactly the same!